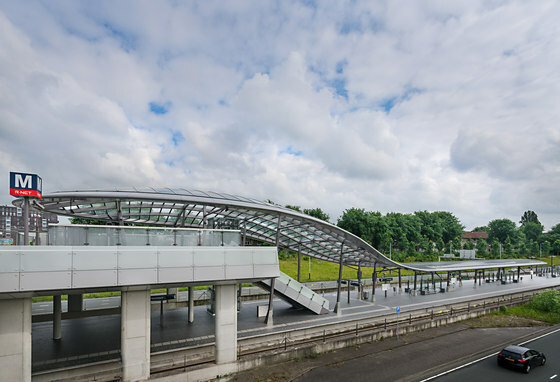 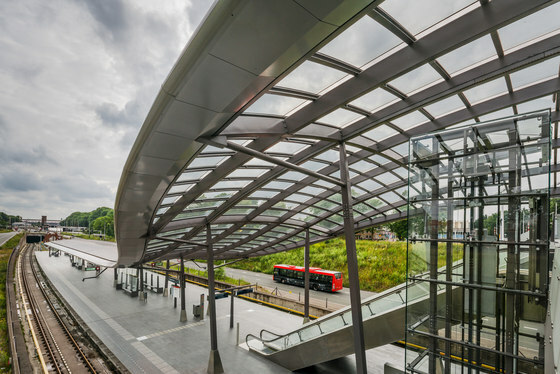 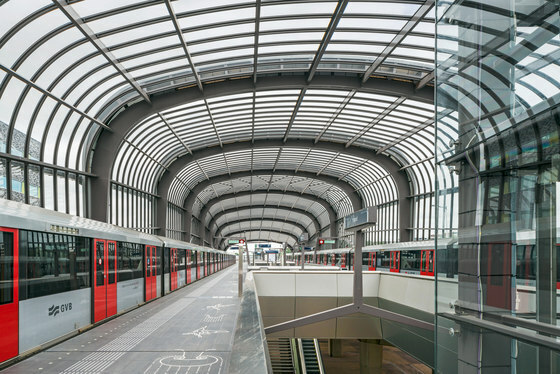 Benthem Crouwel Architects has designed seven new metro stations: Noord, Noorderpark, Amsterdam Central Station, Rokin, Vijzelgracht, De Pijp, and Europaplein. 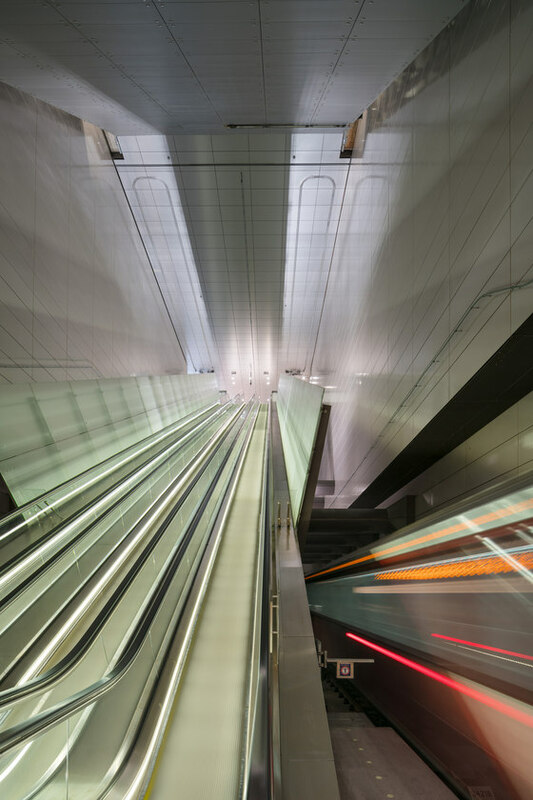 Two of them are above ground and five are underground, along a route that is almost ten kilometers long. 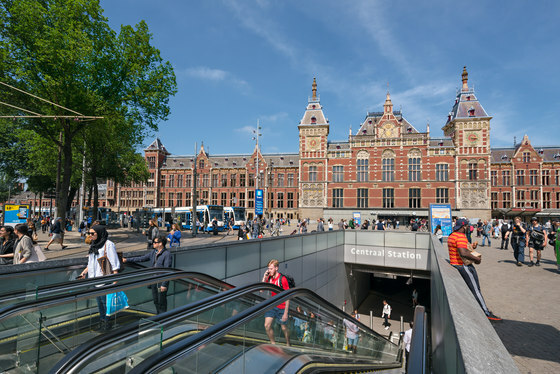 From July 22, 2018 Amsterdam residents, commuters, tourists and day trippers can travel from the north to the south of the city in just 15 minutes. 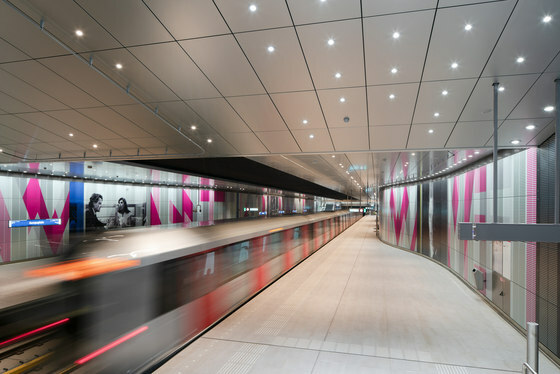 The North-South Line route has been designed as a new public layer in the city, underneath the streets and canals that have supported public and private transport for centuries. 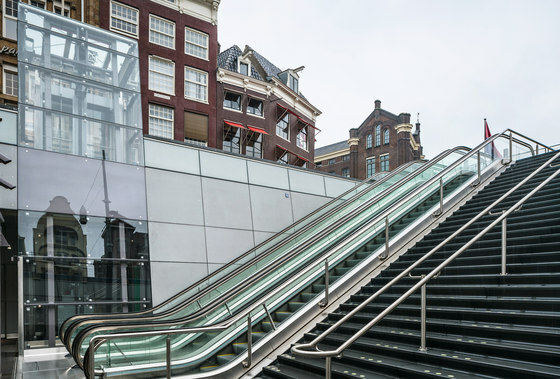 Just like the streets and canals lie openly in the public space, the entrances to the stations are also open and uncovered, functioning as an extension of the street. 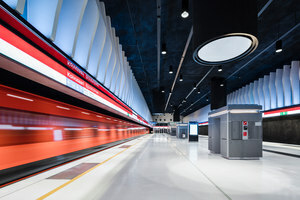 The shortest possible connection between street and platform ensures that the stations feel safe and are easy to maintain. 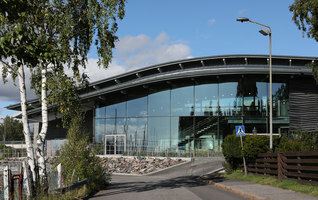 The open entrances lead to halls that are still experienced as part of the outside world, and from which one has a clear view of the tracks. 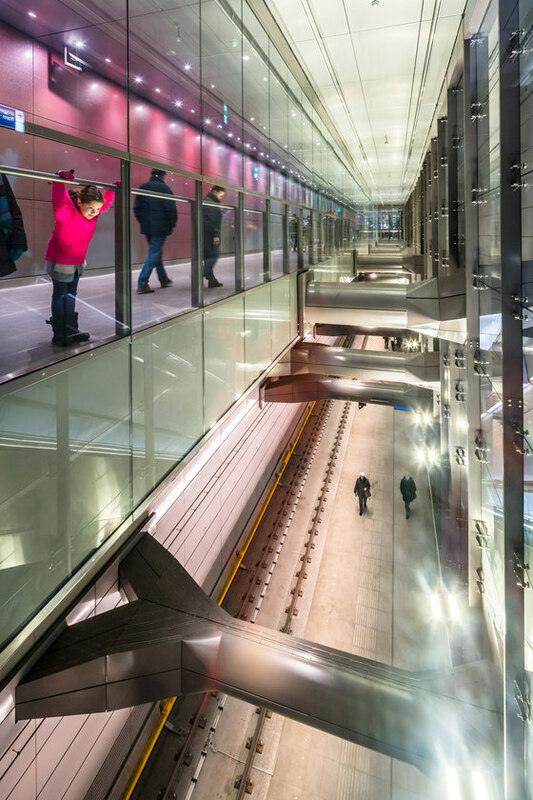 This way the public space of the city continues deep below the surface. 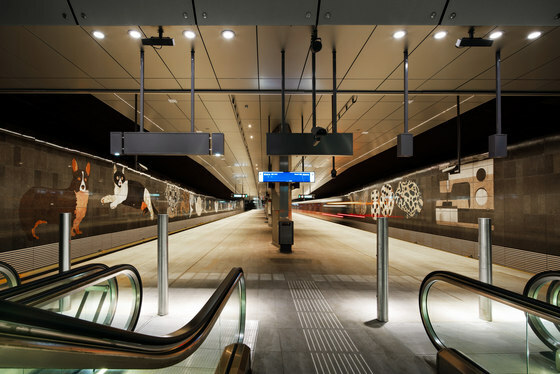 The task of engineering an underground metro 25 meters deep in the soggy soil of historical Amsterdam, built on long wooden stilts around 1300, was not an easy one. 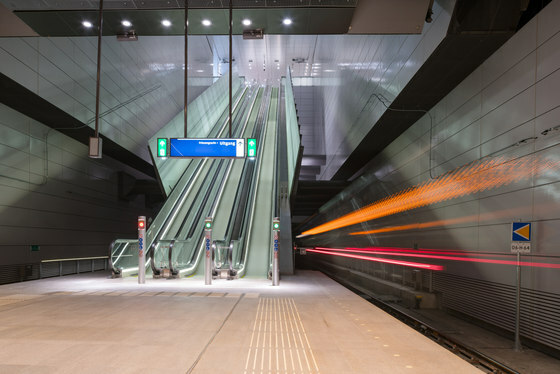 Thanks to a new tunnel drilling technique that was developed in the 1990s it became possible to create tunnels - at certain levels even 30 meters deep - in Amsterdam's wet and unstable ground, without affecting the city too much. 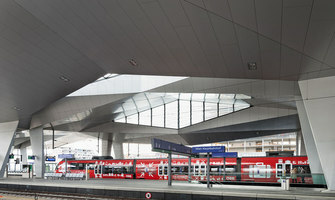 Each station is unique. 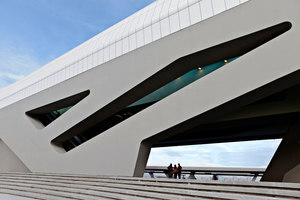 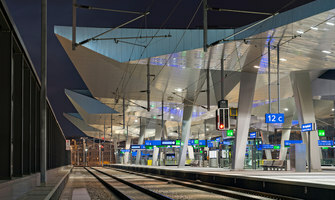 Its architecture is determined by the different locations and by the space allowed by the Amsterdam city plan. 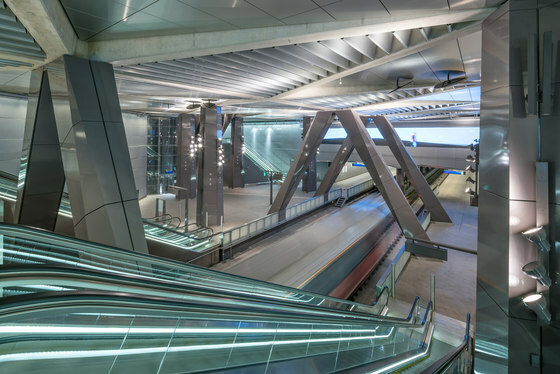 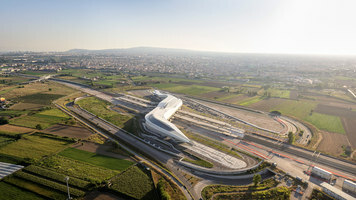 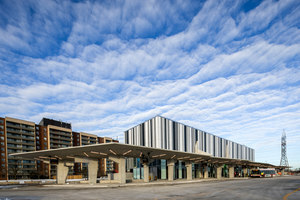 At the same time, all stations are related to each other, and share a main architectural concept: the shortest possible connection between the underground platform and street level, and a logistic routing that flows in one continuous movement. 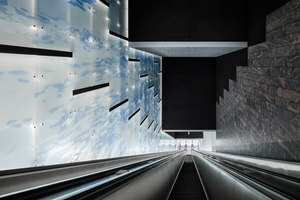 Travelers are able to find their way intuitively. 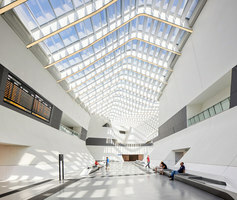 The use of daylight as a guiding principle, and designing clear underground streets instead of a labyrinth of passages, convinced the selection committee in 1995 to give the assignment for the seven new stations to Benthem Crouwel Architects. 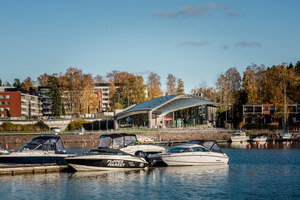 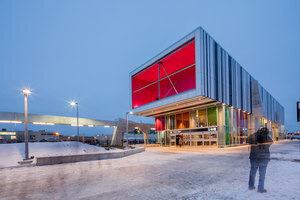 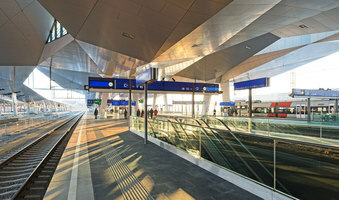 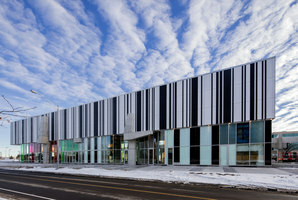 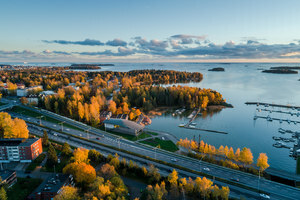 It took more than two decades to finish the projects, but because of the use of modern, state of the art materials and techniques, the stations feel timeless and contemporary. 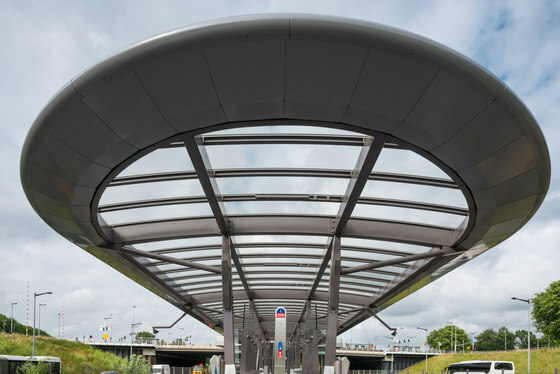 The materials used for the stations have been chosen carefully and in many cases were developed especially for the North-South Line. 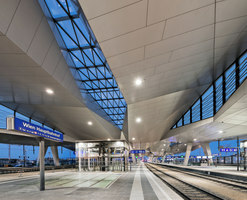 They are easy to clean and to replace. 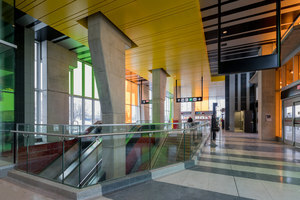 The various shades of grey connect the stations to the urban fabric above ground and give the stations a subdued and calm appearance. 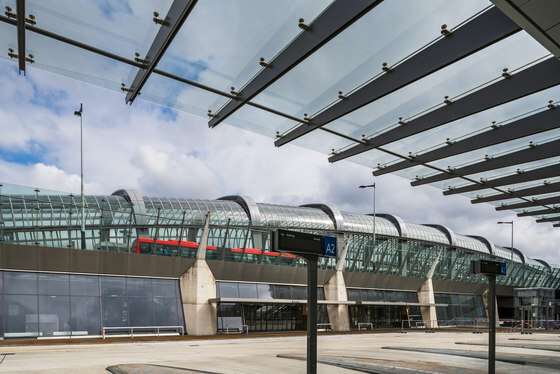 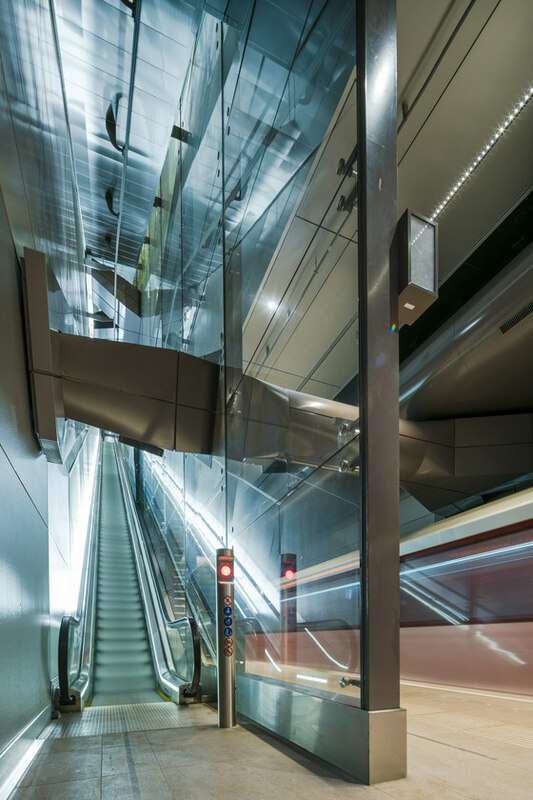 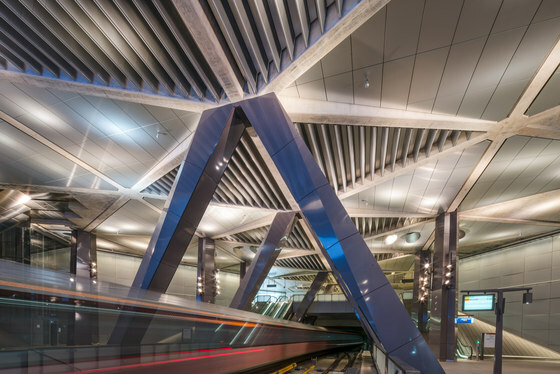 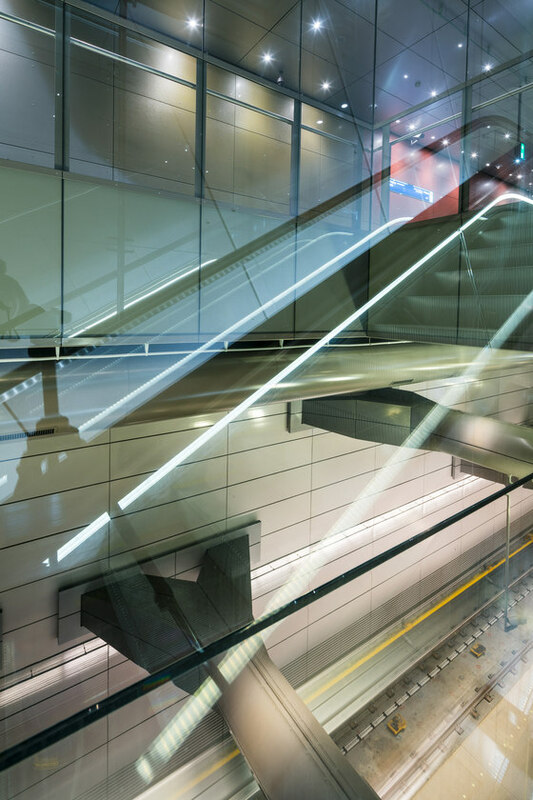 Transparent materials and a sophisticated lighting system ensure that every station feels safe, comfortable and clear. 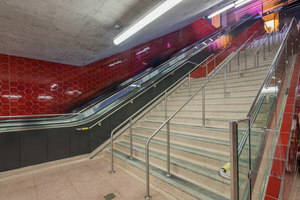 Every station is enriched by a work of art that was commissioned specifically for this station, creating a diverse underground art route with works by (inter)national artists. 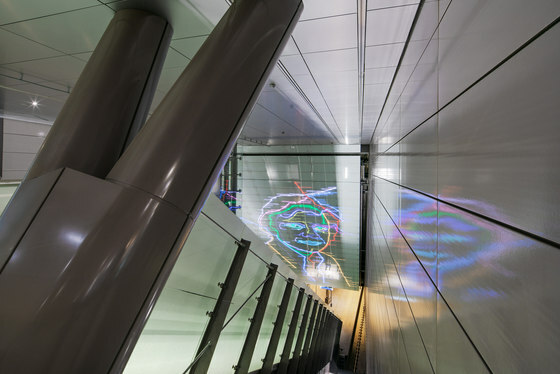 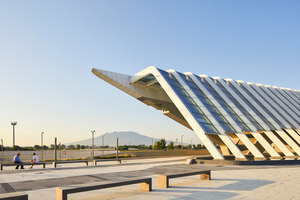 The theme for the art route is 'From the neighborhood to the world': the art takes its inspiration from the world surrounding the station, connects the above and underground, makes the stations recognizable and provides orientation to the travelers. 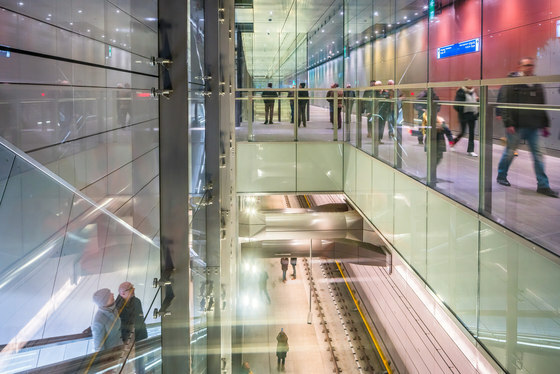 In addition to the art route, at station Rokin a selection of the 700.000 archaeological objects that were excavated during the construction is on display in large glass cases between the escalators.